Real Asian Beauty: My Inexpensive ANDROID Phone! This is not beauty related but I want to share my current favorite gadget, my Android phone. Techy gadgets have been appearing here and there. 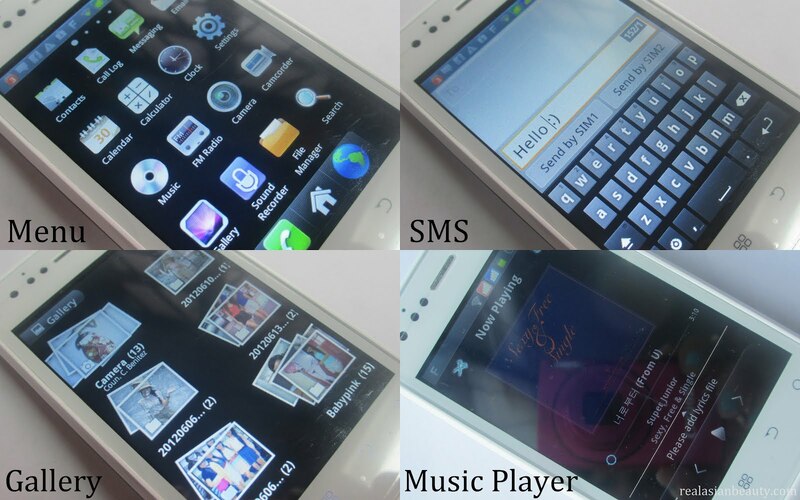 We all admit to love iPhone4/s, Blackberry, Samsung, HTC, Sony and many more.. But we all also agree that as techy as they get, they also are very expensive. So, I want to introduce my favorite inexpensive phone! My Phone is a Philippine brand of hand phones. 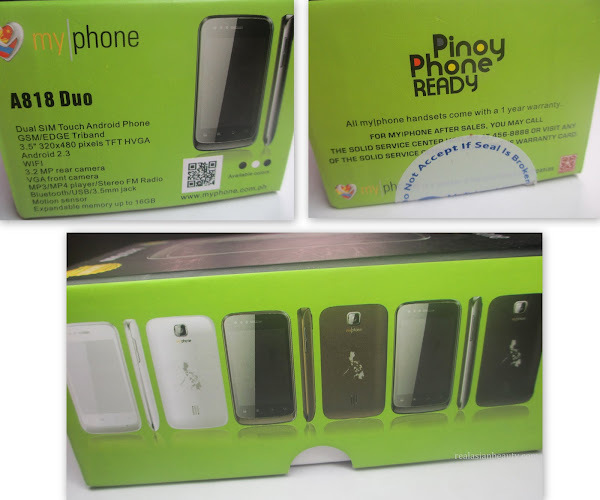 Philippines is new to making our own phones and I am proud to use one that is made locally. Some people who love gadgets imported from other countries may not like this but let me tell you below some reasons why you should consider getting this phone, too. 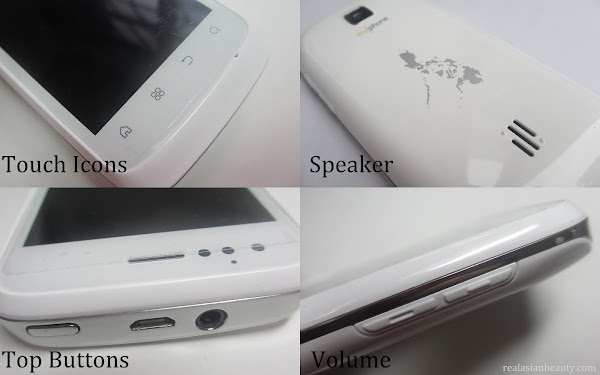 My Android phone is in a sleek white color with the Philippine map printed at the back as its logo. It is as big as other Android phones in the market. Here is a photo showing how big it is when held. I am so proud that this Android phone is Filipino made! It's about time we support and love our own brand, isn't it? This phone comes in three fun colors: Black, White and Matte Brown. Here's how the phone looks. Menu - The menu has the icons of everything that you need on your phone. However, the background of the icons is just in black which I think was pretty lame but you'll be able to deal with it later. SMS - Send messages in a breeze with the Android qwerty keypad which is very responsive. However, the keys are too small and I always press the wrong button. I am not sure ( I'm trying to find it) if the keyboard could be switched to the normal ABC pad. 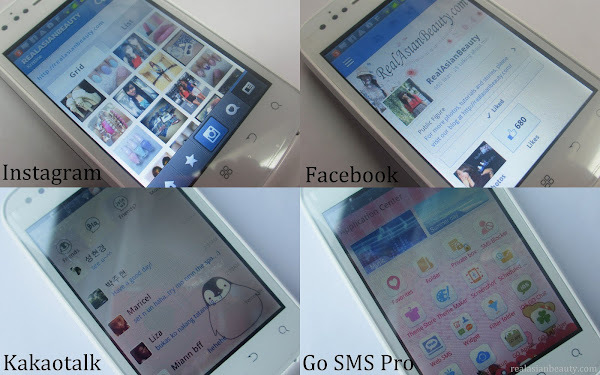 Gallery - Viewing photos is so much fun with this phone, just touch and slide to switch to another photo or album. Sharing photos online can also be done directly on the gallery, simply touch the share button. Music Player - Listen to your favorite songs with My Phone's music player which allows you to create playlists. It is also cool because you can touch and slide the icon to go directly to your favorite part of the song. Instagram - This was the main reason why I got this phone! I loved iPhone because of Instagram. And when Android phones started to carry Instagram, too, I was really excited. Facebook - Connect with your friends and family. I am always on FB using my My Phone android phone and I also like it. However, viewing Facebook on this phone on web page mode takes a little time and causes the screen to freeze a bit. Kakaotalk - Kakaotalk is a Korean chatting app. I love it because it's like sending SMS to your friends but you actually use the internet. You can also follow some famous K-Pop stars and get updated with their schedules and activities. Go SMS Pro - Since, this phone has super plain Messaging layout, I was glad when I found out it can also support this app. Customize your messaging and inbox with this app. You can also chat and share photos. 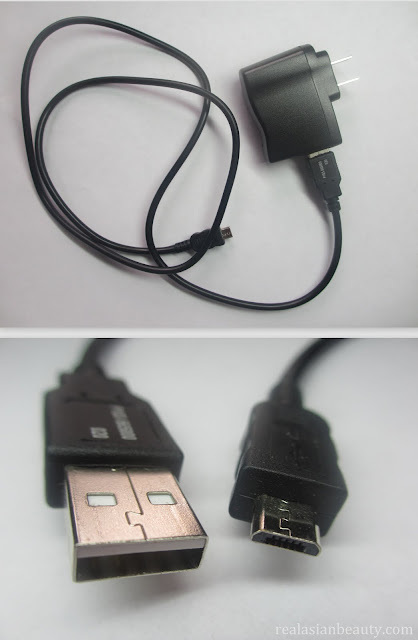 I also love that the charger cord also acts as the USB connector! Works like any other expensive Android phone, yet you get this for 1/5 the price. Screen is very touch responsive. Touch the icons, not press. The screen is wide so it's perfect for watching videos. Many famous Android applications work on this phone, too! The image quality of the camera is really bad! The image is so low, I don't even suggest using it. Please just use your digital camera or your dslr. The inbox and the gallery can not be locked. The keys of the qwerty keypad are so small. Some applications (skype,viber,temple run) don't work. Overall, I really like this phone and I am so happy with it. It works 90% as the other Android hand phones so why spend more bucks when you can have it for a really lower price? However, the camera is really bad so I don't really use it, I NEVER use it. What I do is I take pictures using my digital camera and transfer them on this phone using the usb connector. Could be hassle for some but that's the only weak point of it. All in all, this phone is amazing and I really recommend this.